We seek to understand how cancer cell DNA changes over time so that we can one day develop better treatments. Christina Curtis, PhD, MSc is an Assistant Professor in the Departments of Medicine (Oncology) and Genetics in the School of Medicine at Stanford University where she leads the Cancer Systems Biology Group and serves as Co-Director of the Molecular Tumor Board at the Stanford Cancer Institute. Trained in molecular and computational biology, she received her doctorate from the University of Southern California in 2007 advised by Simon Tavaré, and holds Masters degrees in Bioinformatics and Computational Biology from the University of Southern California and in Molecular and Cellular Biology from the University of Heidelberg, Germany. She has been the recipient of several young investigator awards, including the 2012 V Foundation for Cancer V Scholar Award, the 2012 STOP Cancer Research Career Development Award, a 2016 AACR Career Development Award and was named a Kavli Fellow of the National Academy of Sciences in 2016. Dr. Curtis is the principal investigator on grants from the NIH/NCI, Department of Defense, American Association for Cancer Research, Breast Cancer Research Foundation, Susan G. Komen Foundation, V Foundation for Cancer Research and Emerson Collective. She also serves on the Editorial Boards of Breast Cancer Research, Carcinogenesis: Integrative Biology, the Journal of Computational Biology and JCO Precision Oncology. 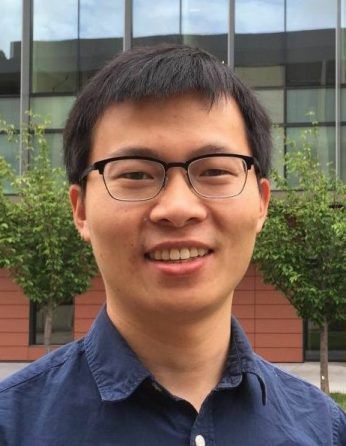 Dr. Zheng Hu was awarded the IGI Postdoctoral Fellowship in May 2016, and works in Christina Curtis’s lab at Stanford University. He hopes that his work in cancer genomics will explain why individual cancers respond to treatment differently, and ultimately guide the design of personalized cancer therapies. Cancer is a somatic evolutionary process driven by acquisition of (epi)genetic mutations. Although the mutational patterns have been extensively characterized by cancer genomic sequencing studies, yet our knowledge of rate and evolutionary effect of mutations on tumor dynamics is limited. Fruitful evolutionary theories in population genetics have provided insights into mutation-driven tumor evolution, however, the theories/hypotheses have rarely been tested experimentally due to the difficulty of obtaining time-series genomic data in patients. Breakthroughs in in vitro 3D tumor organoid culture and the precision genome editing technique CRISPR-Cas9 pave the way to tackle these challenging problems. This project aims to a) functionally characterize the role of mutator genes (e.g. DNA mismatch repair genes and genes causing chromosomal instability) on tumorigenesis and metastasis using CRISPR-based genome editing in primary human organoid culture and mouse xenograft models; b) define a computational approach to estimate the mutation rates of drivers (beneficial) and passengers (neutral and deleterious) based on longitudinal genomic data. We use whole-exome and deep targeted sequencing sampled longitudinally in primary organoid and xenograft models to compare wild-type vs. mutator phenotypes; c) test the theories/hypotheses of mutation rate on tumor cell evolution experimentally and computationally, such as whether mutation rate is a selective trait during tumorigenesis, the neutralization of selection under high mutation rates in an asexual population, clonal interference, mutational meltdown, etc. We hope to elucidate the fundamental principles of how mutation rate affects tumor evolution. Between-region genetic divergence reflects the mode and tempo of tumor evolution. A population genetics perspective on the determinants of intra-tumor heterogeneity.